Behind those amazing Olympic performances is lots of fuel in the form of caloric intake. And when you're expending thousands of calories per day, eating immense amounts of hearty food is a must. 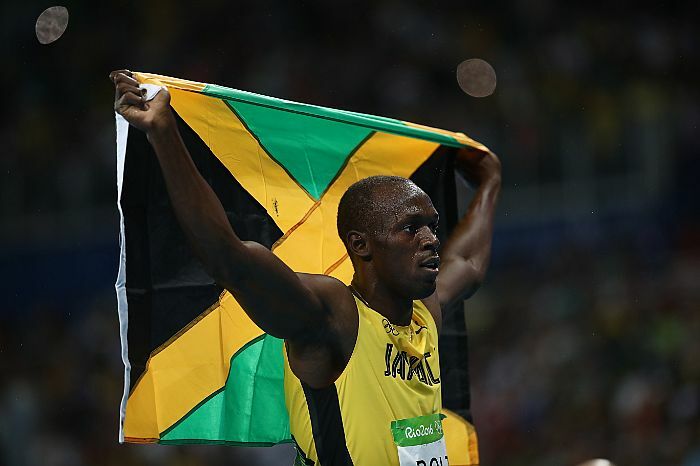 And as the fastest man in the world, Usain Bolt's diet is no exception to the rule. According to the Telegraph, the athlete has become more health conscious while choosing his meals. Making himself relatable to nearly everybody, however, the athlete admitted that it can still be difficult to fend off cravings for fried foods, the outlet reported. During the day I only eat just enough to have energy for training and to make sure I digest fast enough. But at nights, before I go to sleep, I consume a lot of food. My coach wants me to eat a lot of vegetables, so I do eat more of that than anything else. I’ll eat broccoli, but I’m not a big fan. And when he wakes up, he eats an egg sandwich followed by a small lunch of pasta and some type of meat midday. And if he needs some more fuel for dinner, which generally consists of Jamaican dumplings and roasted chicken, he snacks on fruits such as mangoes, pineapples, and apples. I tend to stray off my diet, but in the mornings I mostly have like fruits and my coach lets me have anything in the morning. ... But in the evening, before I go to bed, he always says make sure I just get protein and vegetables so that's it. ... But throughout the day, like because I need the energy for training, I can pretty much have anything I want like rice, or dumplings. Protein and vegetables, then, seem to be the secret fuel for success. And considering Bolt has already taken home two gold medals from Rio, it looks like that's working out pretty well for him.